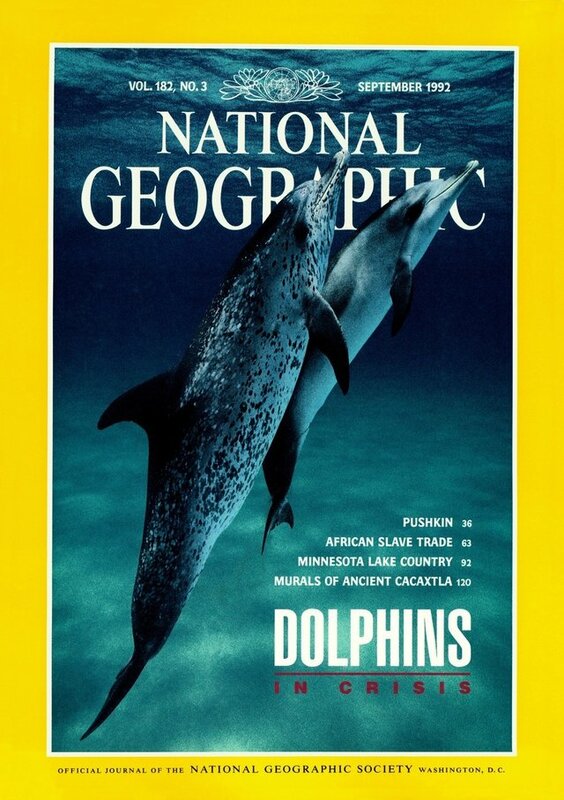 In September 1992, National Geographic Magazine featured Flip Nicklin's now famous photo of a rare spotted dolphin, then just a calf, swimming in the waters off the Bahamas. The image, much like the magazine's "Afghan Girl" cover, helped put a face to a burgeoning crisis. Twenty years later, wildlife photographer Brian Skerry set out to find that iconic dolphin, named Nassau, in hopes of adding a new chapter to her story. With the help of biologist Dr. Denise Herzing, who studies dolphins in the region where Nassau was originally photographed, Skerry spent days aboard a research vessel in search of the cover girl dolphin -- learning in the process that the "crisis" reported on decades earlier might still be underway. For the first time in thirty years, dolphins in the Bahamas had been moving away from their usual hunting grounds, moving farther out to sea in search of food. On the afternoon of day six, Herzing shouted from the bow: "I think we found Nassau!" I raced to the pulpit and saw Herzing with a big smile-the cover girl was indeed among the pod of 12 dolphins. And her new calf, Nautilus, was with her. For the next two hours I swam amongst this pod of wild dolphins, that for a brief time, allowed me into their world. Nassau mostly remained in the distance. But finally, for just a few moments, this grand dolphin dame swam elegantly near, with little Nautilus beneath in the infant swimming position. Fortunately, Skerry was able to capture a few images of Nassau, viewable here -- offering, says the photographer, "a glimpse into a complex society we are only beginning to understand."